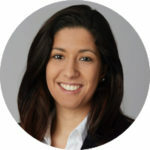 Samanta Jenni has been a Member of the Board of Directors of SWISS Virtual since 2018. She is passionate about travel and appreciates flying with SWISS. Samanta holds a Bachelor of Law from the University of Basel and is now studying for her Master’s degree in Lucerne, Switzerland. She is also active in the board of another association for the benefit of the public.